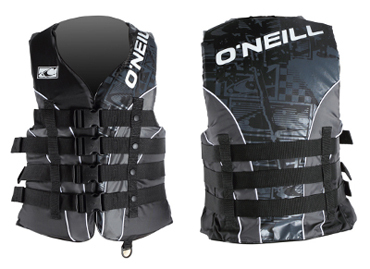 The Oneill 4 Belt Nylon Vest is United States Coast Guard approved. With Closed cell PVC marine foam to keep you afloat. comfortable all the time your in the water. 4 adjustable straps for different users.